Picture you and your horse galloping on our all weather 5/8 mile track. Then, picture you and your horse together in balance and rhythm; effortlessly shifting gears from an easy gallop at 350 mpm to a more serious pace of 520 mpm. After mastering the gallop with the correct position, desired speed, and balance, riders will finish up the session by cruising over a few simulated steeplechase type fences. The clinic will begin with a demonstration to show the correct position for the rider, the various speeds and balance required with a discussion led by Jackie Smith. Jackie is a USEA ICP certified instructor. 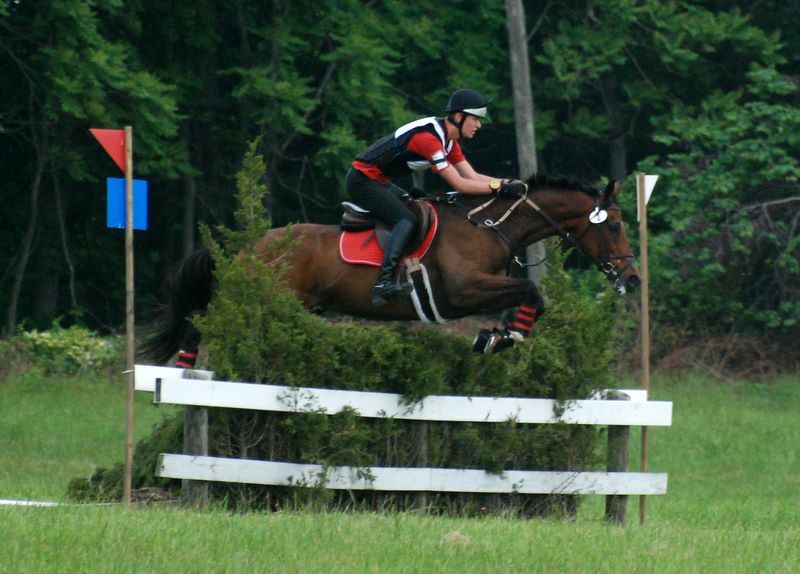 Kevin Smith is pictured, on one of his mounts (Tin Tin) at the VA Horse Park for the Preliminary long format where they placed second in the competition. This clinic is for any rider who is interested in learning more about the proper galloping position, pace, and the thrill of ‘chase’. Riders will be grouped by experience and the speed and size of the fences will be appropriate for the level.